The HPEL-60 heliport perimeter light is a constant green upright light emitting omnidirectional green light at night or during the day time with low visibility. It is used to indicate a safe landing area for a helicopter pilot. 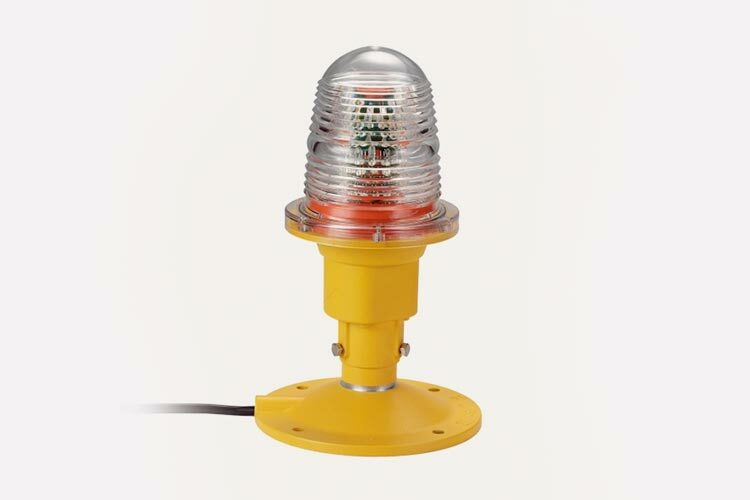 The HPEL-60 heliport perimeter light is a constant green upright light emitting an omnidirectional light at night or in the daytime with low visibility. This unit indicates the perimeter of the helipads take off and land area in order to indicate the safe landing area for the helicopter pilot. The HPEL-60 is controlled by a switch in the heliport control cabinet. The lamp cover adopts PC material of excellent impact resistance (IZOD notch impact strength: 90), thermal stability (service temperature can be 130℃), great transparency (available with a light transmission of up to 90%), auto-UV resistance, corrosion resistance and flammability rating in UL94V0. Light housing is made of aluminium alloy. Light source adopts the international advanced LED featuring low power consumption, high efficiency and light source lifespan reaching 100,000 hr.